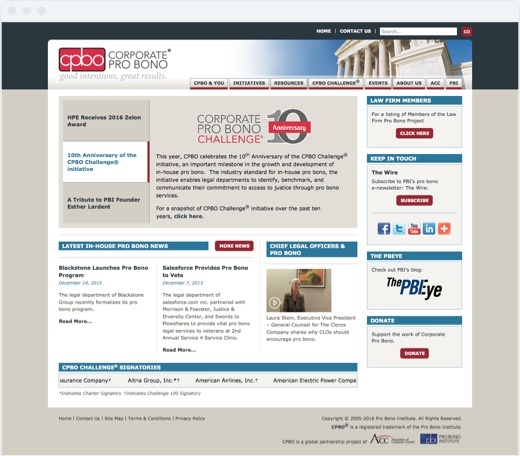 Website for organization that deals with the pro bono work of in-house legal departments. The project was completed with Blair, Dubilier & Associates. 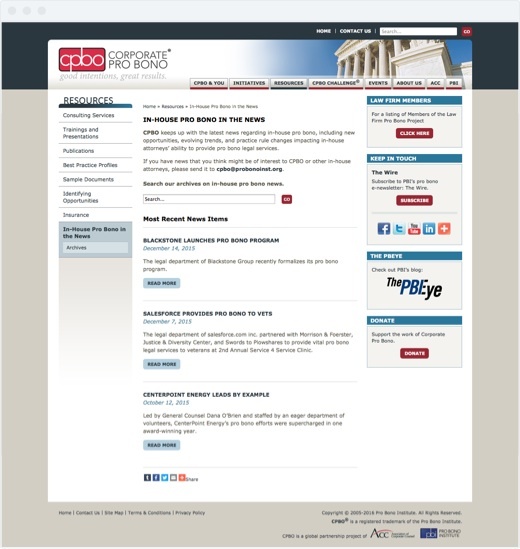 The home page features a custom built content slider, and the two most recent news items. 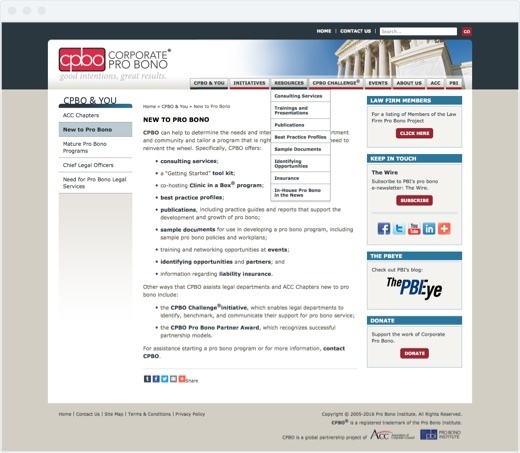 The interior page uses three columns, with a section menu in the left column. The site has a news section with a special “news only” search.